Aluminium shutters provide increased security for your home in Lanzarote, but they also help to keep your home cool during the hotter months. Aluminium gates provide a stylish yet hard-wearing alternative to a timber gate. The hot Lanzarote sun can play havoc with wood, and these gates remove that issue completely while also providing a great first impression for your visitors. 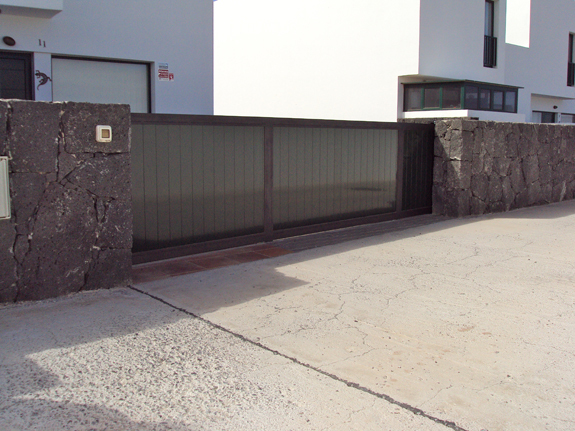 We manufacture, supply and construct aluminium shutters and gates in Lanzarote. Our years of experience and huge group of happy customers can assure you of our professionalism and dedication to finding you the right solution for your home.